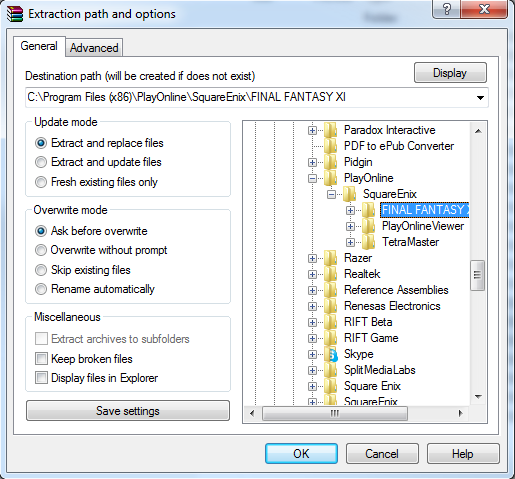 This guide will walk you through using my 20130327.rar download to patch FFXI. All screenshots were taken on 64-bit Windows 7. If you are not running the same OS, your directories may vary slightly. If you have a problem, feel free to send me an e-mail (krizz@tehkrizz.net). Please be sure to include the step number you are on so I know what you've already done. 2. 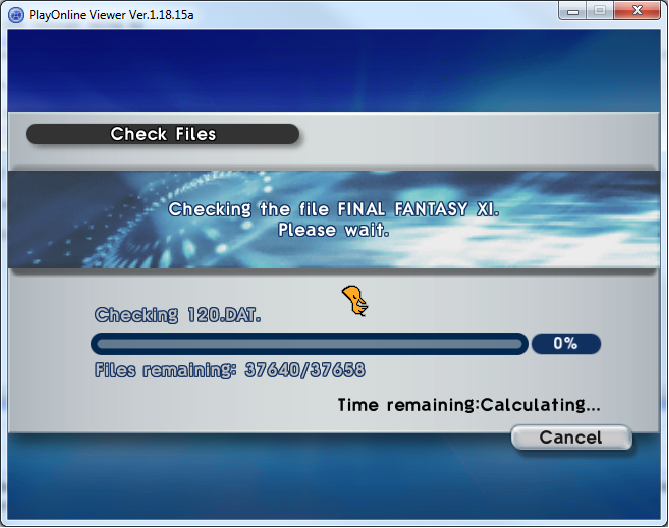 Unrar the file directly to the Final Fantasy XI folder. 3. Once that is complete, open POL and do a file check. 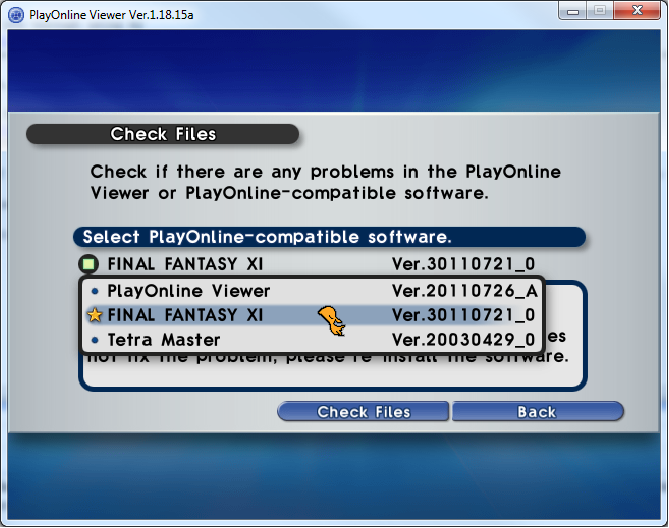 You will need to do it on both PlayOnline and FFXI. 4. 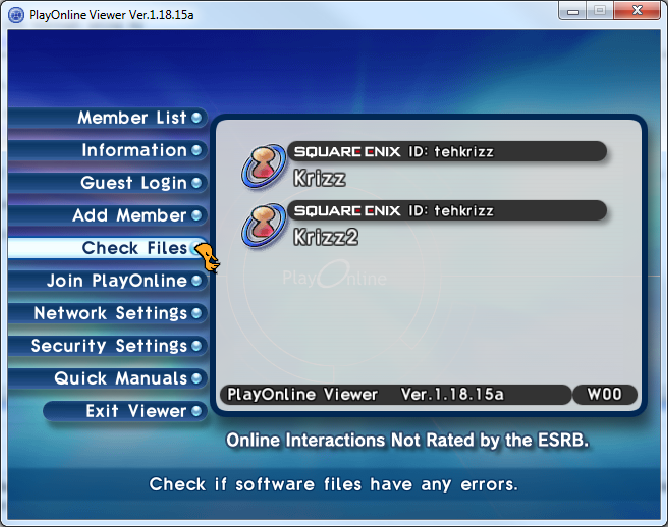 At this point it should update a handful of files (7-10), and then you will be able to login and play.